The Trump administration is calling on federal agencies to expand their use of “coaching,” an “experimental” and “creative” process designed for individuals to help other government workers realize their full potential. 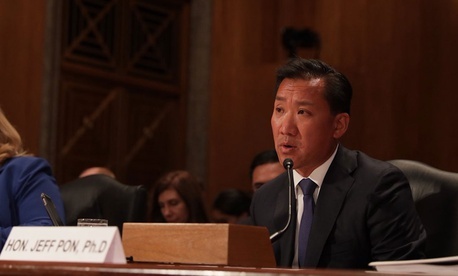 Office of Personnel Management Director Jeff Pon sent a memorandum to agency leaders that was made public this week aimed at highlighting the “importance of creating a coaching culture.” Such a culture would boost retention of employees, forge stronger relationships, increase focus on mission and lead to better performance, Pon said. The director tasked agencies’ human capital officers to use his memo to plan, design and implement coaching programs. A coach can come from both within government or outside of it, OPM said. It differs from mentoring in that a coach never provides specific advice, but rather focuses only on general professional development. In a formal coaching setup, the coach and coachee will sign an agreement setting the parameters of the arrangement and the duration of the relationship. Employees should ask for help from the appropriate point of contact to identify a coach and must first fill out a form to get permission from their supervisor. Coaches can assist their coachees on topics such as leadership skills, professional transitions, goal creation, self-management, and identifying core strengths and gaining "clarity in purpose," among others, OPM said. Discussions in coaching sessions are confidential, which should be clearly spelled out in coaching agreements. Individuals should not coach anyone in their chain of command. OPM and the Office of Management and Budget already maintain multiple websites to serve as directories for coaches and training materials for them. Pon specifically instructed agencies to target their coaching programs at the Senior Executive Service and other supervisor trainings. He added, however, that coaching should be available for all employees. He noted that it is never appropriate for agencies to mandate that an employee engage in a coaching program, even for poor performance.